Apple today released watchOS 5, the newest version of the operating system designed to run on the Apple Watch. Today's software update follows several months of beta testing, with Apple having seeded 10 betas and a GM. watchOS 5 can be downloaded for free through the dedicated Apple Watch app on the iPhone by going to General --> Software Update. To install the new software, the Apple Watch needs to have at least 50 percent battery, it needs to be placed on a charger, and it needs to be in range of the iPhone. watchOS 5 is a significant update to the watchOS operating system, introducing Activity Competitions so you can compete with friends to earn points, reach fitness goals, and win awards. There's a new Walkie-Talkie app with push-to-talk functionality for quickly communicating with the people you talk to most, and auto workout detection has been included to make it easier to start and stop workouts if you forget to do it yourself. 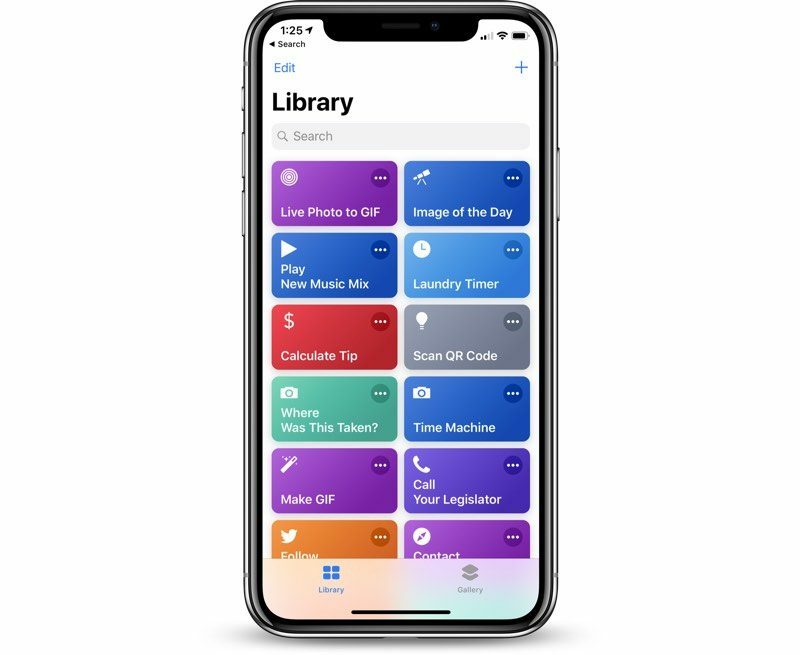 Siri Shortcuts, the new iOS 12 feature that allows you to create Siri-activated automations and shortcuts with both first and third-party apps, is available on Apple Watch through an improved Siri watch face that shows more information than ever. The Siri watch face offers up predictive and proactive Shortcut suggestions based on your personal routines and the time of day, while Maps integration lets you see turn-by-turn directions and estimated travel times. Heart rate measurements like resting rate, walking average, and recovery rate are now displayed on the Siri watch face, as are live sports scores and info on upcoming games. On newer Apple Watch models, you no longer need to hold down the Digital Crown to activate Siri thanks to a new built-in "Raise to Speak" feature that lets you speak right into your wrist, and there's a dedicated Podcasts app for listening to Podcasts on Apple Watch. 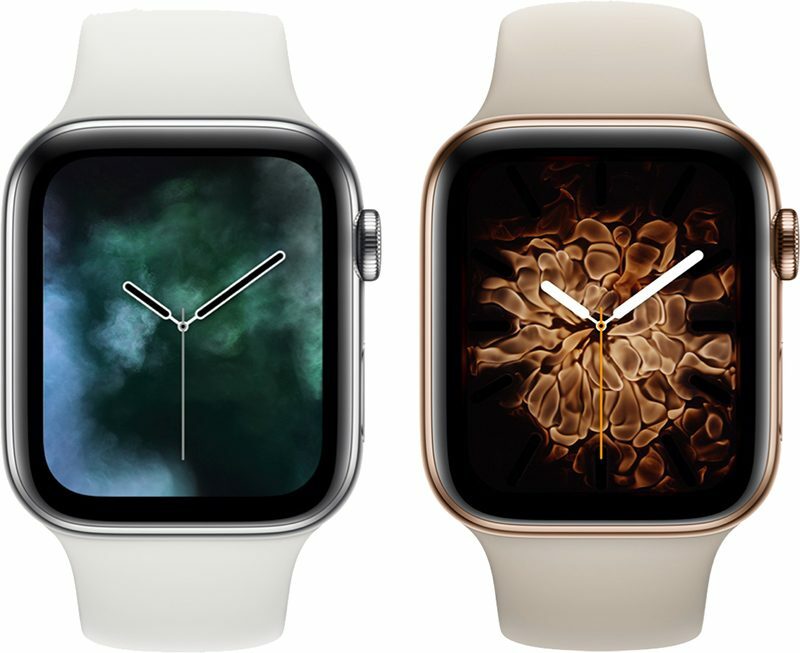 There are several new watch faces available in watchOS 5, including a Breathe face for walking you through stress-relieving breathing exercises, new motion faces that animate when your wrist is raised (Fire & Water, Vapor, and Liquid Metal), and options to display curated moments from your photo library on the Photos watch face. There are also new complications for Podcasts and Walkie-Talkie. iOS 12 features that include grouped notifications, Deliver Quietly, Instant Tuning, and Do Not Disturb have been expanded to the Apple Watch, and there are options for getting a notification if your heart rate falls below a specified threshold during a 10-minute period of inactivity. Other new features include new Workout types that include Yoga and Hiking, new features for runners, WebKit support for viewing some web content on Apple Watch, metrics like UV index, wind speed, and air quality in the Weather app, an option to answer a FaceTime video call as audio on Apple Watch, and an updated interface for choosing emoji in Mail and Messages. The watchOS 5 update runs on all Series 1, Series 2, and Series 3 Apple Watch models, but it is not available for the first-generation "Series 0" Apple Watch models. For more information on all of the new features coming in watchOS 5, make sure to check out our watchOS 5 roundup.